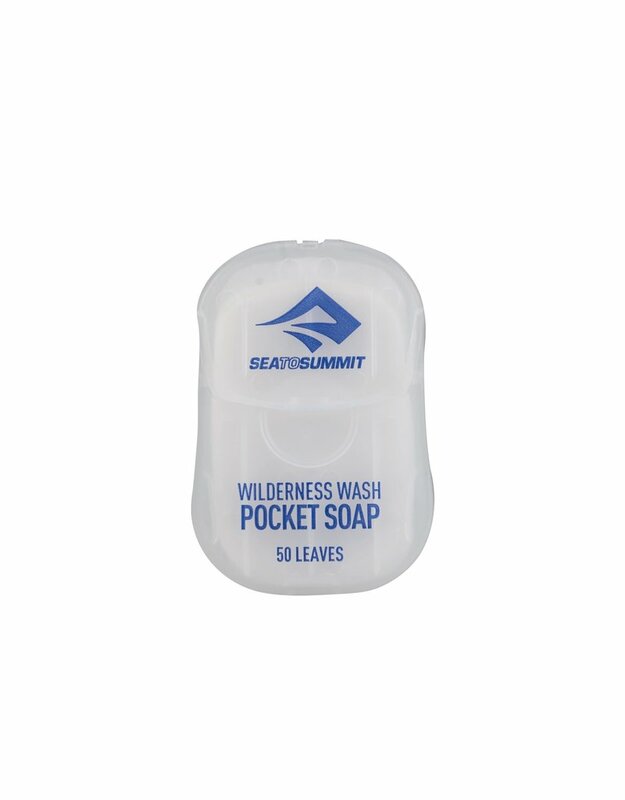 Wilderness Wash™ is available as a Pocket Wilderness Wash with 50 leaves of dry soap per pack. 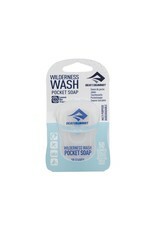 Wilderness Wash Pocket Soap™ is gentle on fabrics and skin but effective on dishes and laundry stains. 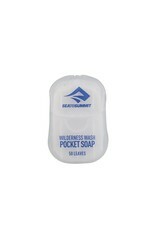 It is biodegradable, phosphate, paraben and fragrance-free. Just put a leaf or two in your palm, add water and work into a lather. Use it in accordance with Leave No Trace principles (see below) and it is gentle on the environment, too. 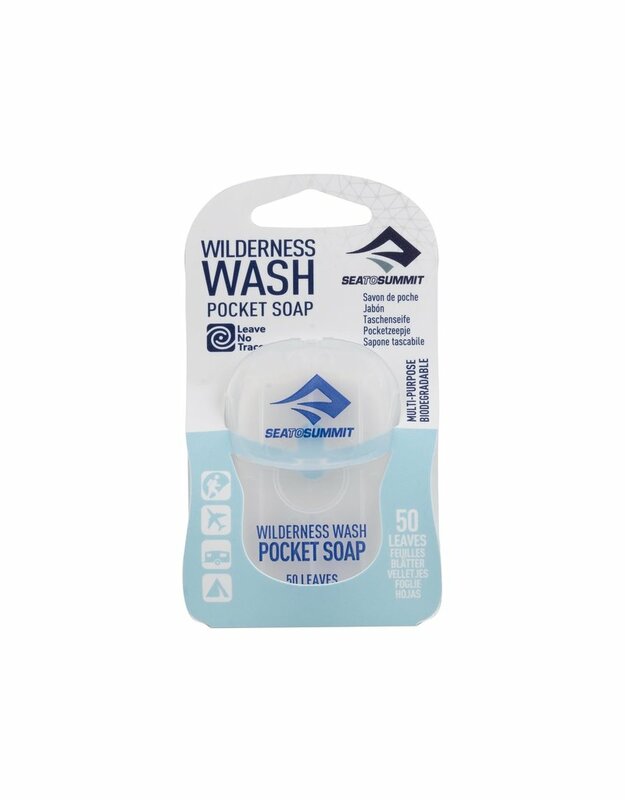 CAN WILDERNESS WASH POCKET SOAP? Be used in lakes and streams? No. Biodegradable means that the product will break down due to biological action and UV, but it will harm aquatic life if used directly in streams, ponds and lakes. Practice Leave No Trace and wash / dispose of waste water 300ft / 100m from any water source. Be used in a washing machine Yes and no. 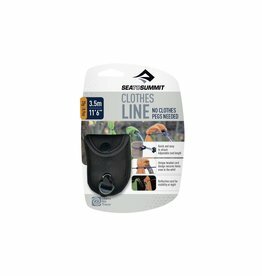 It is designed for washing clothes in a sink (one or two leaves in 1 – 2 gallons of water), whereas a washing machine uses 20 – 50 gallons of water – so you would need 10 – 25 leaves. In practice, launderette washing machines have plenty of soap residue, and therefore 5 or 6 leaves may work for a small load. Be used for wool or technical fabrics? Yes. It is a non-detergent formula which will not harm wool or degrade water-resistant technical fabrics / DWR finishes (make sure to rinse well after washing). 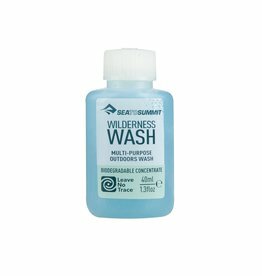 Our super-concentrated liquid Wilderness Wash™ goes a long way and is gentle on fabrics and skin but effective on dishes and laundry stains. 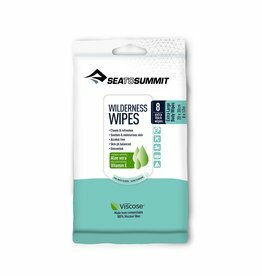 Wilderness Wipes™ will clean and refresh you when a shower, or even just water, isn't a possibility.